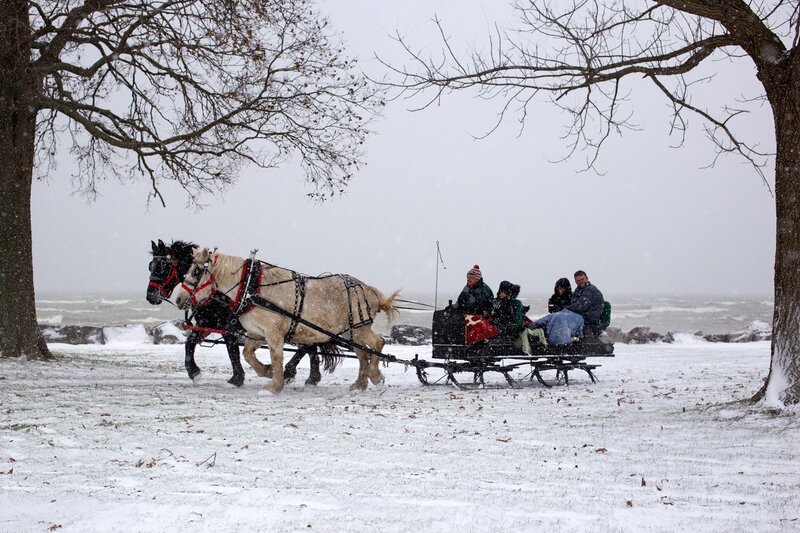 The John R. Park Homestead Conservation Area will celebrate this year’s holiday season in pioneer style with the Christmas in the Country special event on Sunday, December 9th. “Guests really enjoy our old-fashioned holiday fun,” says Kris Ives, Curator/Education Coordinator. “This event offers an opportunity for memory-making and taking part in a handmade holiday celebration.” Among the merriment, visitors can find two of St. Nicholas’ historic counterparts – Belsnickel and Ruprecht. For a $2 donation, visitors can have a child’s name added to Ruprecht’s ‘nice’ list by registering it online at jrphnicelist2018.eventbrite.ca. As it would have been in the Park Family time, the 1850s house and farm are decorated with natural forest materials. Get hands-on with the holiday fun by stringing popcorn, baking a gingerbread cookie on the hearth, ornament making, and enjoying 19th century toys and games. Demonstrations of blacksmithing, woodcarving, fireplace cooking and more are also on the list of experiences. “Perhaps the most popular, is the chance for guests to interact with the horses at the event,” Ives adds. “Many people don’t know that St. Nicholas’ sleigh was piloted with a white mare before reindeer came into the picture!” The event will feature horse drawn carriage rides, complete with sleigh bells, available for a small donation (weather permitting). To complete the old-fashioned holiday experience, the Homestead will also offer the opportunity to warm up with hot cider and chestnuts roasted on an open fire. The event runs from noon to 4pm. Visitors can also enjoy join in the spirited, age-old Celtic winter tradition of Wassailing at 1pm, 2pm and 3pm to celebrate the year’s bountiful harvest. The South Point Ukulele Group will provide festive entertainment from 3pm to 4pm. Take home a treat to enjoy from the Friends of the Homestead bake sale, and find beautiful, local items in the museum gift shop for everyone on your list – including ‘coal’ candy for the stockings.